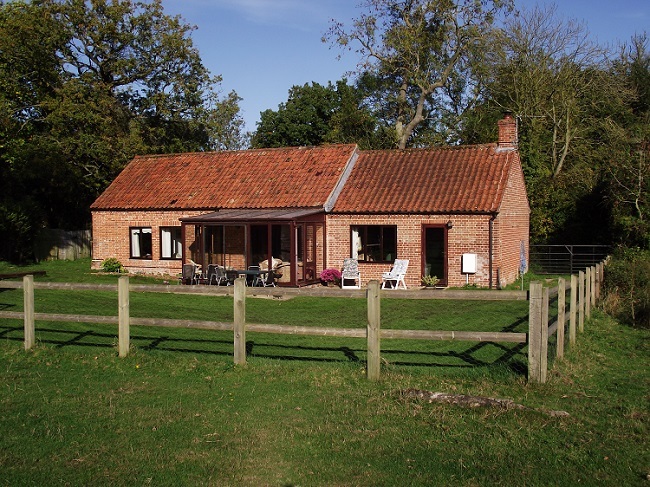 We offer Pet Friendly Holidays in Holt, Norfolk. 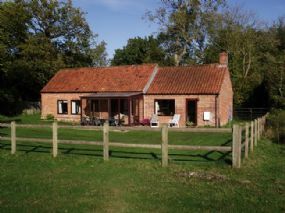 SWALLOW BARN is a single storey detached barn conversion, furnished to a high standard and providing excellent all year round holiday accommodation in a rural setting near Holt. Dogs are welcome here. It is located 7 miles from the Georgian town of Holt, with its excellent range of shops and restaurants, and is situated in its own peaceful and enclosed garden. comprises 2 double bedrooms for up to 4 people, with an additional cot option. In addition there is sofa bed in the living room for 2 extra people. Linen, towels, and logs for the woodburner are provided. A lockable shed is available for bikes. Pet Friendly - There are many local tracks and woodland walks, as well as designated dog-friendly areas on most local beaches.